So the compressor fuse keeps blowing, which i take means the compressor is broken and needs replacing or rebuilding. 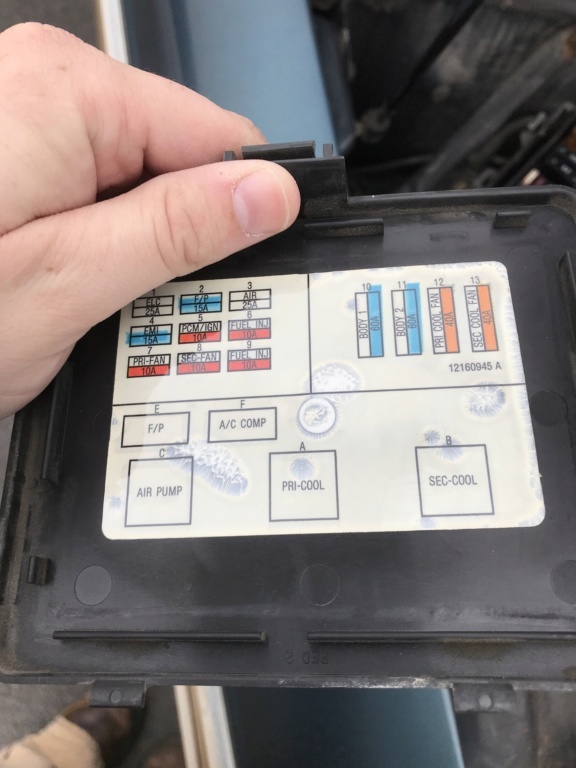 Now the stupid question is: the ELC fuse keeps blowing too, will this be fixed by replacing the compressor or does that module need to be yanked out from above the axle? Are you referring to the A/C compressor fuse in your first sentence? I believe that the fuse for the A/C compressor is for the clutch. What year car do you have? 91-93s have the ELC compressor where a car with dual exhaust would have the left muffler. The 94-96 compressor is behind the right front bumper. If the fuse is blowing for that compressor, the compressor is probably locked up, and the motor is fried. Both of those fuses blow as soon as you turn on the car. What I’m trying to figure out is the extent of the problem. You should consider getting an FSM. You will find the wiring diagrams in it. I believe the Haynes Manual has a wiring diagram in it too. ELC is for the Electronic Level Control, meaning the Air Compressor. Without the AIR fuse your under hood light should be out as well. The "Module" at the rear axle is the leveling valve. It inflates/deflates the system as needed. Most likely you have a fried Air Compressor because like most everything else 90s GM, they are low quality and decades old now. Thank you!!! That makes a lot of sense. How involved is swapping the suspension compressor? I know it’s under the air filter, I can kinda see it. Is it a plug-and-play sort of deal? I just removed mine so I can put duals on my OCC. There is a pressure line connector, electrical connector, a rubber line with a "T" in it, and three bolts with 13mm hex heads. The bolts come out first, with the hidden one as the priority. A socket will not fit between the frame and the bracket, so grab your ratcheting box end to remove it. You will also have to take the antilock lead out of the standoff to get one of the bolts out. My compressor is still good, because I disconnected it years ago when the shock bladders broke, and while it still ran. Now, I no longer have room for it. The 94-96 is behind the driver's side front bumper, and probably has 3 bolts and similar connectors. Mine was pretty simple to remove and toss into the trash can. I saved mine in case someone needs a good one, or if I decide to get another OCC, and it needs one.